Liam Ryan - D&C | Domain & Co.
As a Leader at Domain & Co, Liam is a well-respected mentor and go-to expert in all things property management (and sport!). 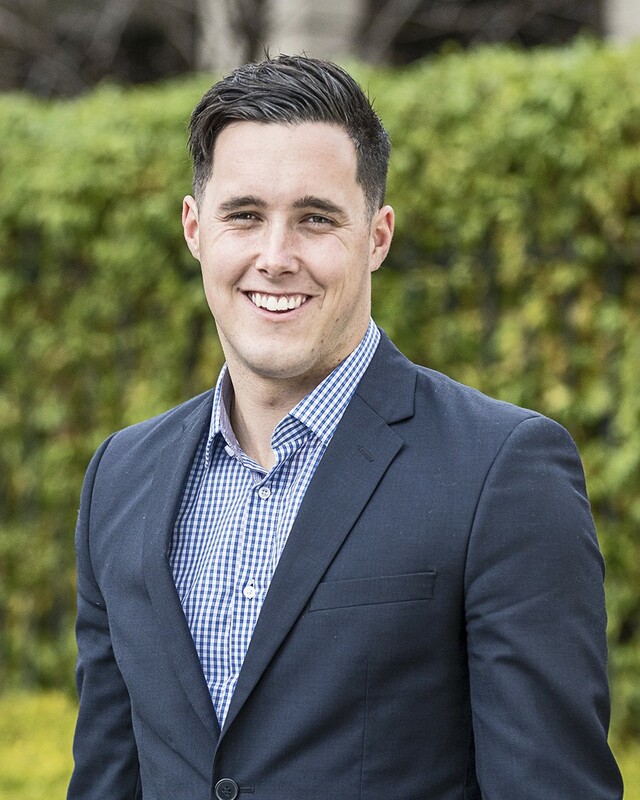 Growing up in the country, Liam has adopted an admirable work ethic, spending his early years in retail and hospitality before embarking on a successful career in property management over seven years ago. Adept at problem solving and passionate about helping his clients achieve their property goals, Liam has a fabulous energy and is a pleasure to have in the office. MOTTO I LIVE BY Take a risk. BEST PROFESSIONAL ADVICE “If you are 5 minutes early, you are always on time”. This advice was given to me by my father Greg and is something I have adopted my whole life. MY PASSIONS All things sport! Particularly American sports, including NFL, baseball and basketball. Also AFL, mixed netball and CrossFit.